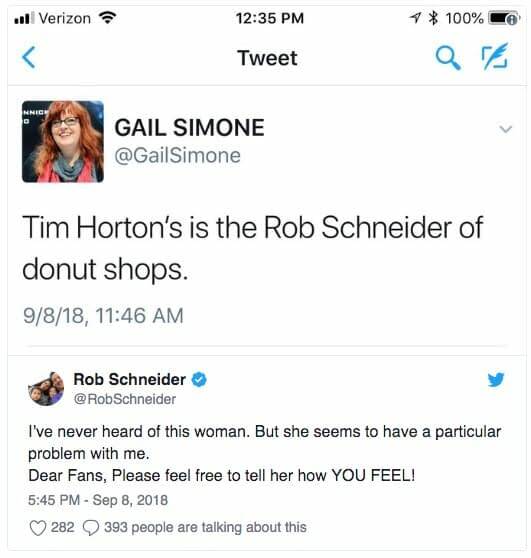 Tim Horton’s is the Rob Schneider of donut shops. Though Simone didn’t necessarily comment on whether this was a positive or negative comparison, her past interactions with Schneider make it likely the remark was meant to be disparaging. Schneider, who was somehow almost immediately aware of the tweet, seemed to agree, posting a screencap and tweeting it to his followers, inviting them to attack Simone in response. Not cool. You don’y like a random comment about you and respond, fine — but why you gotta sic the dogs on people? 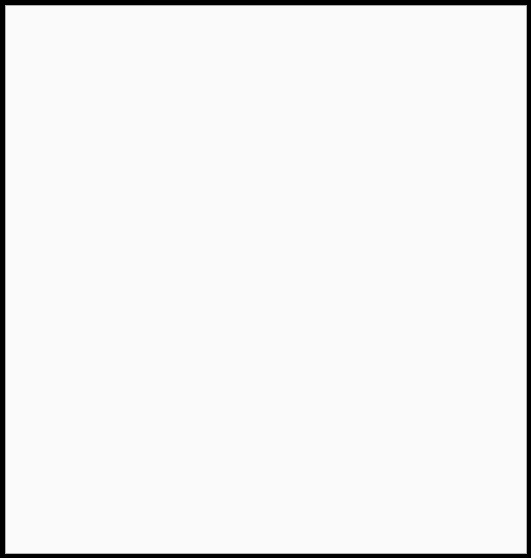 Weaksauce. How sad is your life that you spend your time searching your name on Twitter only to purposely send your fans out to target and harass another woman? But Simone herself was only amused by the whole thing. It’s weird to send his fans at me for a joke, but still…ROB. It’s a JOKE. Even more curious, according to Simone, he shouldn’t have even seen her Tweet in his feed, even if he were vanity-searching, as he had previously blocked her. Not to mention the fact that he claims to have never heard of her before, but clearly is harboring an old beef. But has anybody thought about the real victims here? Tim Hortons isn’t so awful, eh! Timbits are pretty good, their coffee is decent, and their breakfast sandwiches aren’t bad either. If anyone is the Rob Schneider of donut shops, it’s definitely Krispy Kreme. Rob Schneider, however, is the Miracle Whip of comedians. Fanboy Rampage was a blog by Graeme “Graham” McMillan dedicated to the funniest, most ludicrous and most inappropriate comic book back-and-forths online. McMillan has moved on now, becoming a proper journalist for the likes of The Hollywood Reporter and Wired but he gave permission to Bleeding Cool, the Rob Schneider of comic book websites, to revive his great creation.